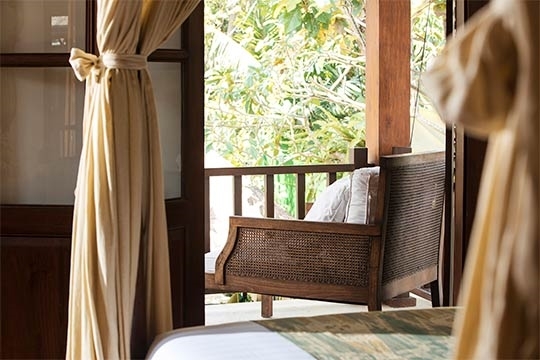 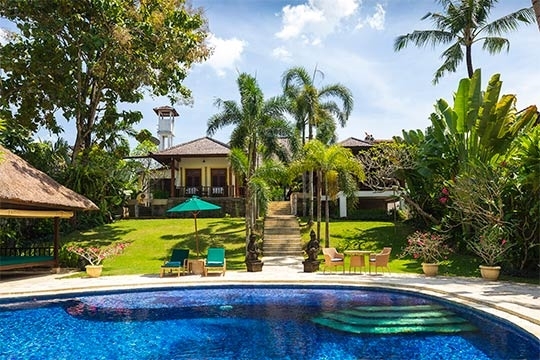 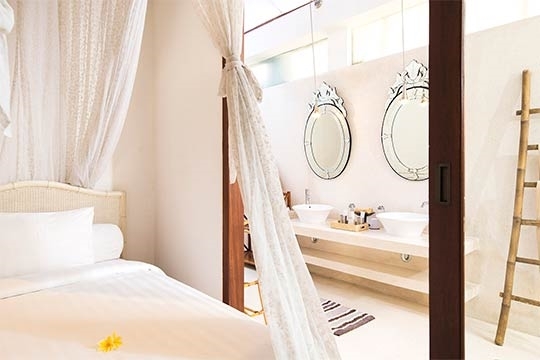 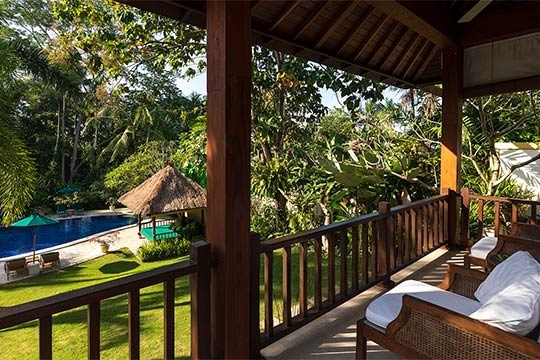 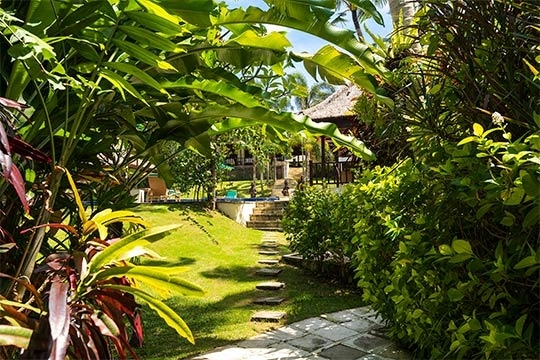 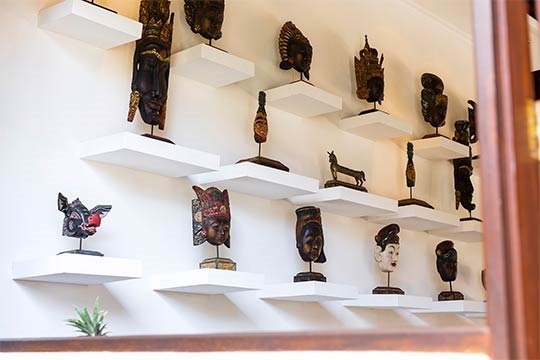 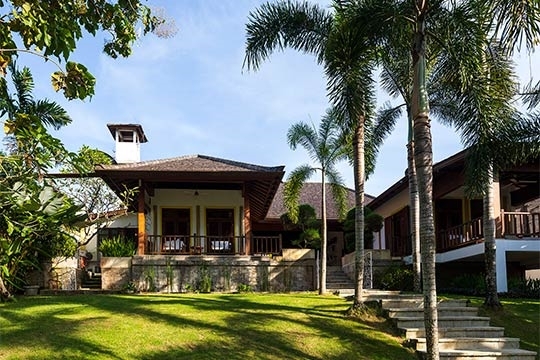 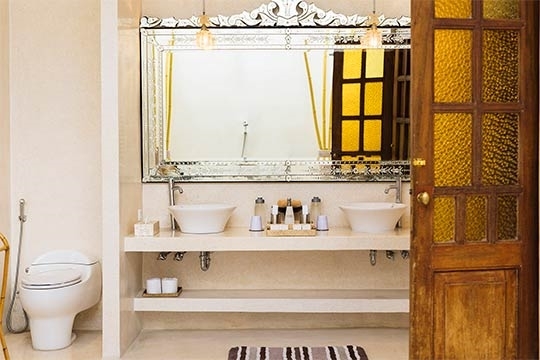 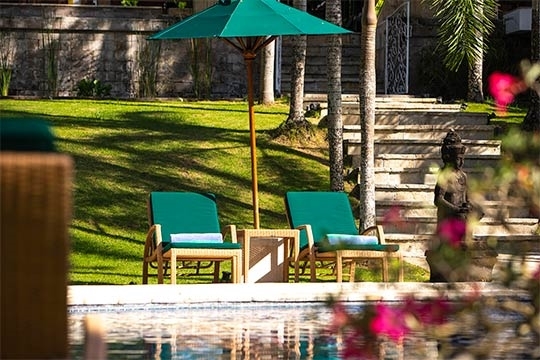 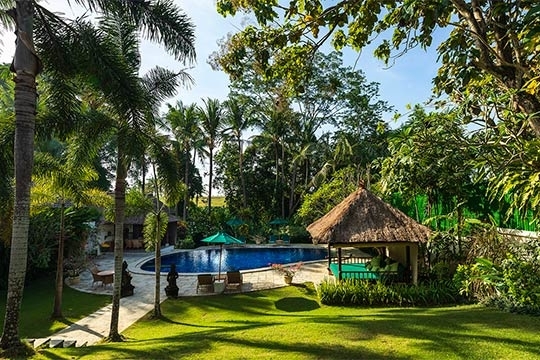 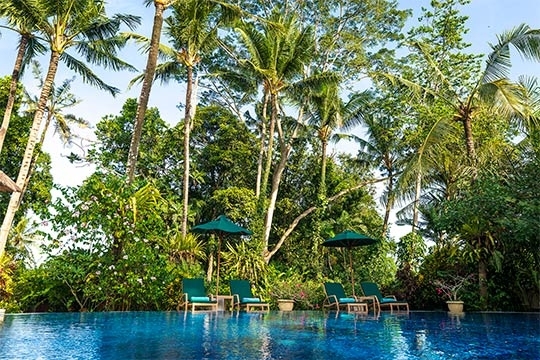 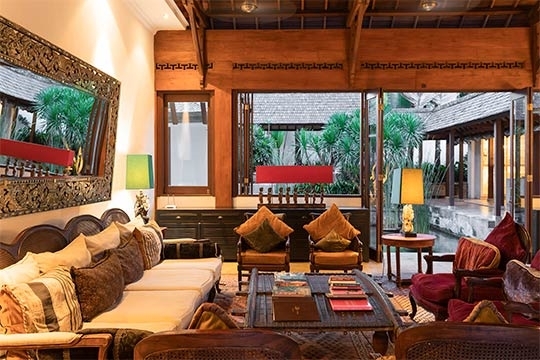 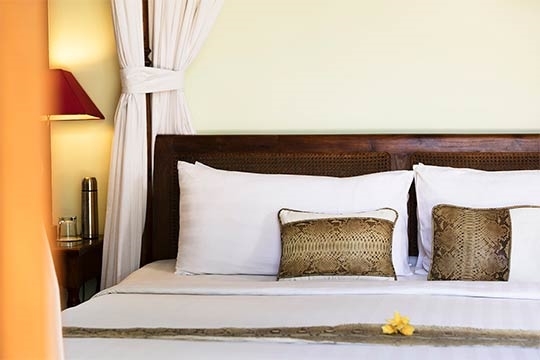 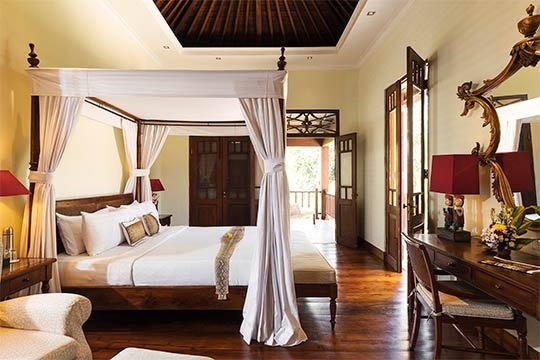 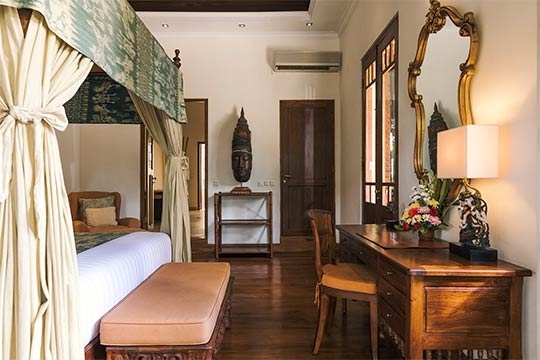 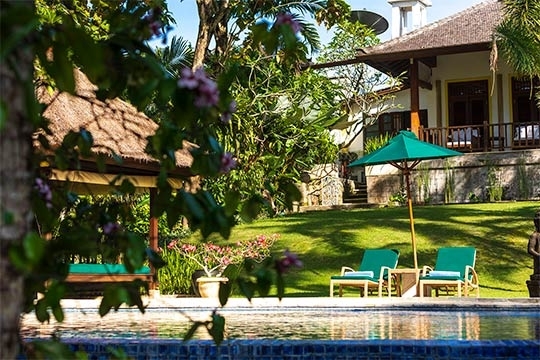 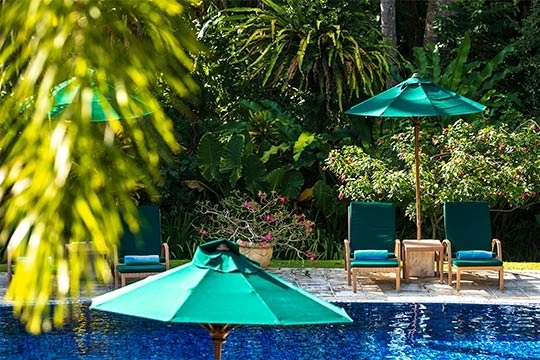 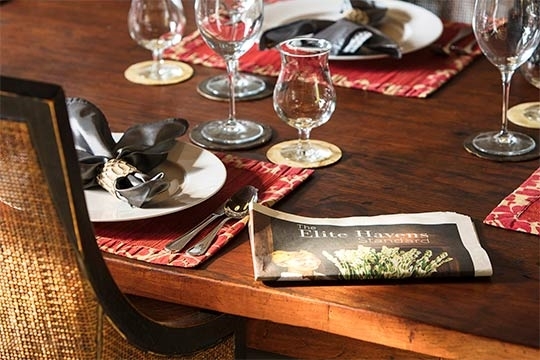 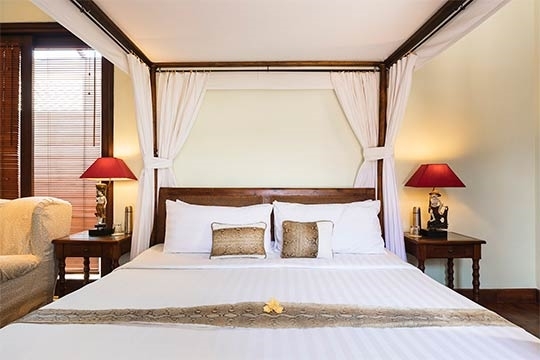 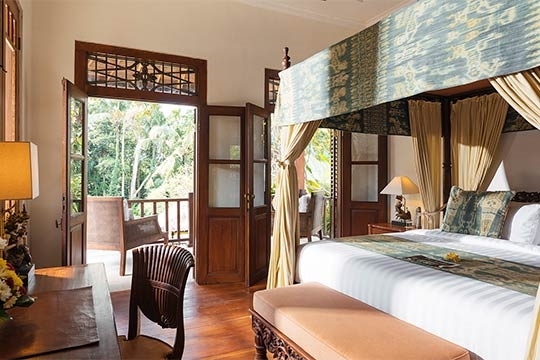 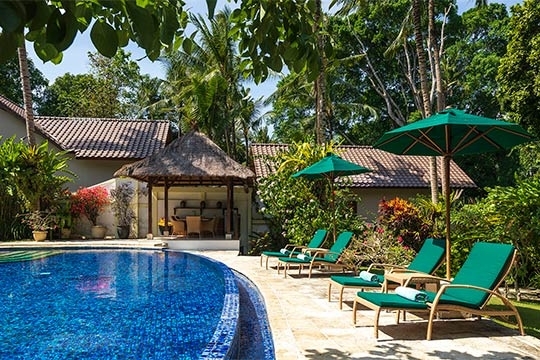 Villa Mako - an elite haven | Pictures, Reviews, Availability | Bali Villas: Private and Luxury Vacation Rentals in Bali. 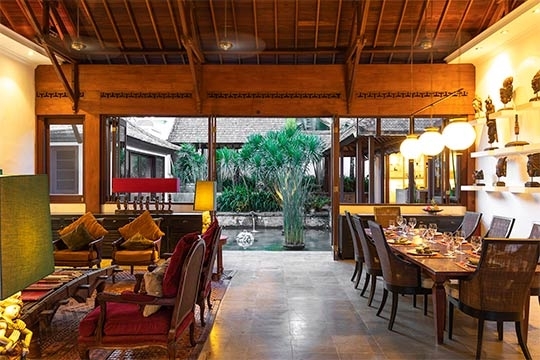 Villa Mako blends the luxury and grandeur of traditional Indonesian architecture with the picturesque surroundings of a small Bali village. 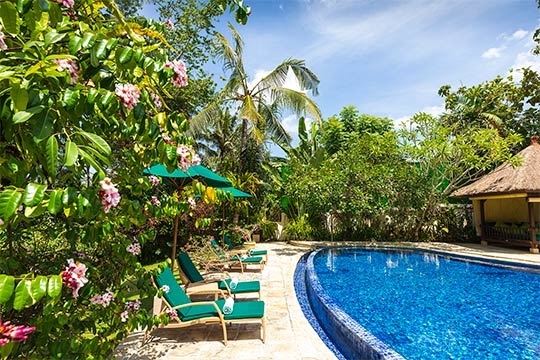 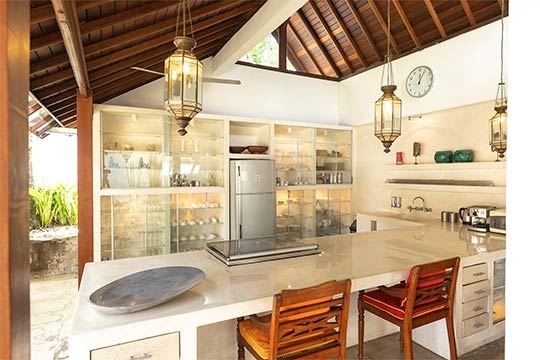 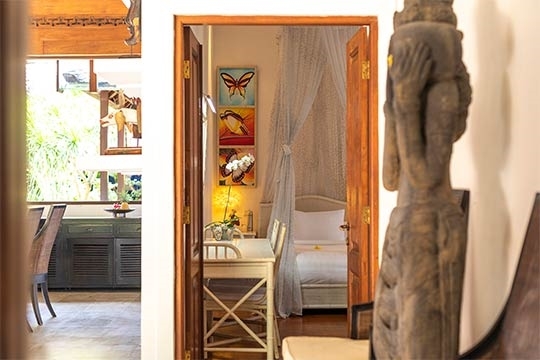 This three-bedroom Pererenan pool villa is set in the tiny village of Tiying Tutul just outside of trendy Canggu. 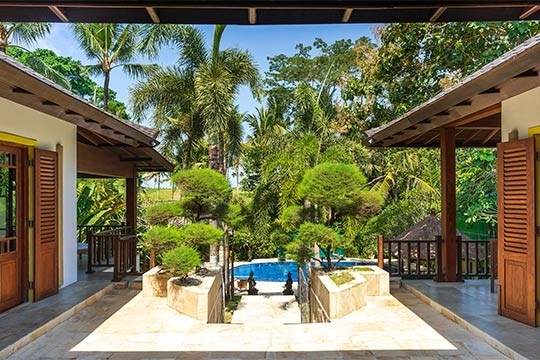 Villa Mako enjoys an elevated position with sweeping views over the private pool, surrounding jungle canopy and rice terraces beyond. 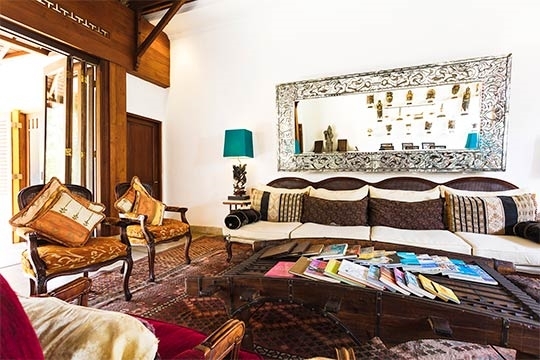 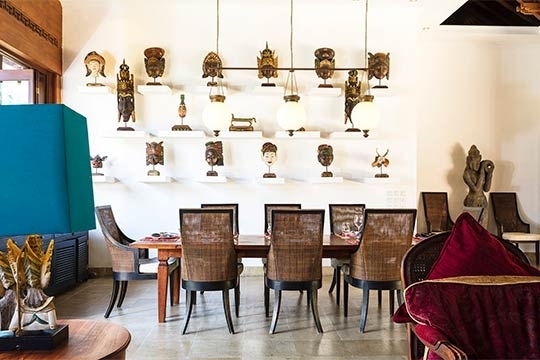 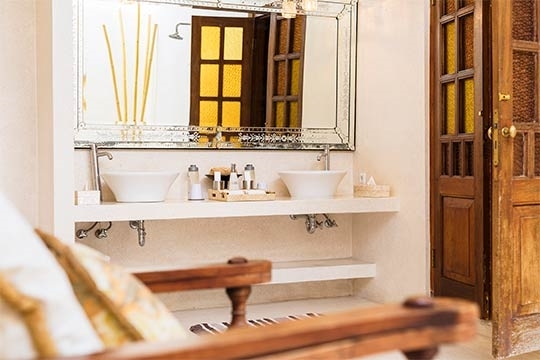 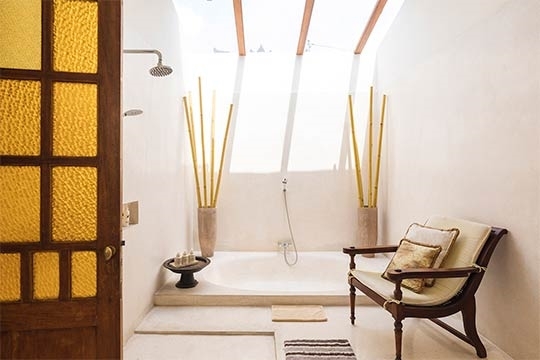 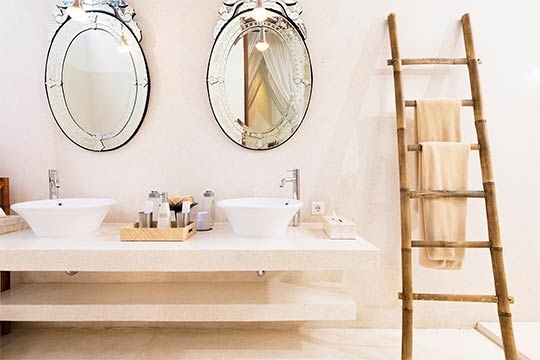 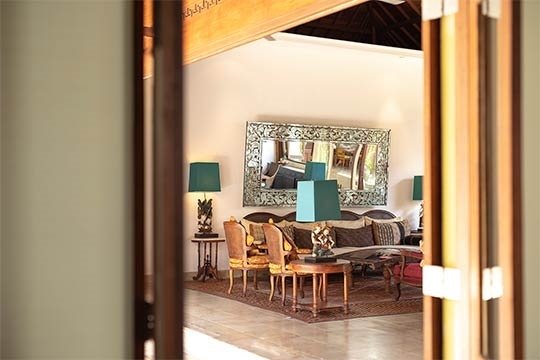 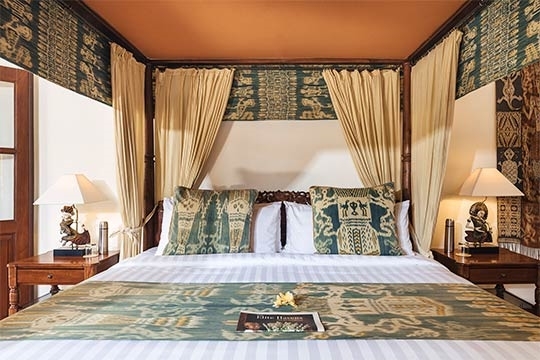 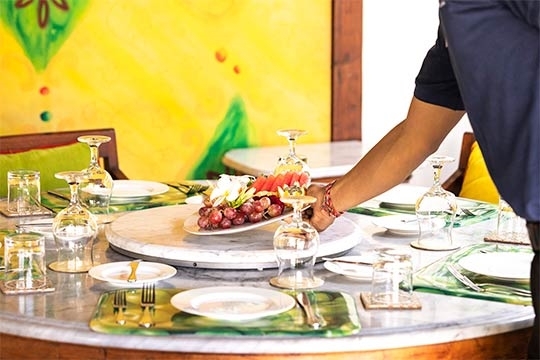 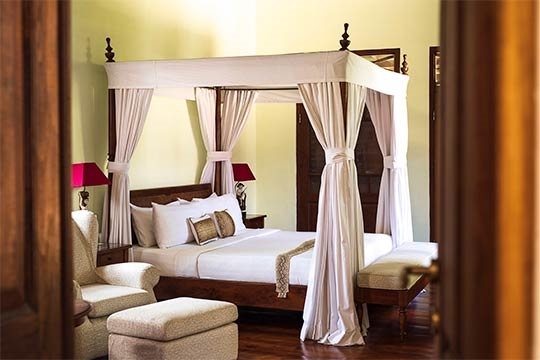 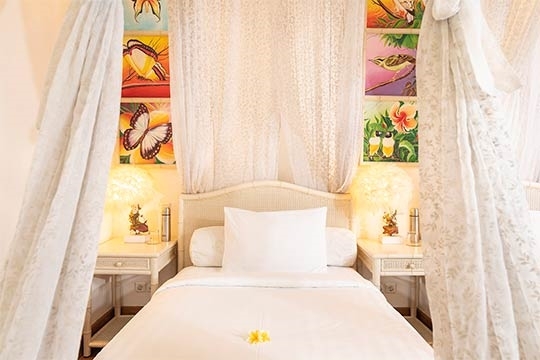 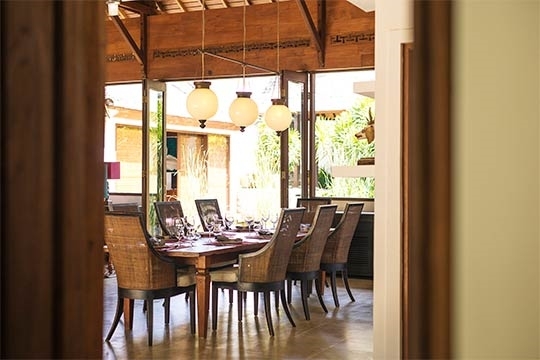 Comfort is the focus of Villa Mako’s plush interiors and furnishings, while the layout provides both private and social spaces for families or friends sharing. 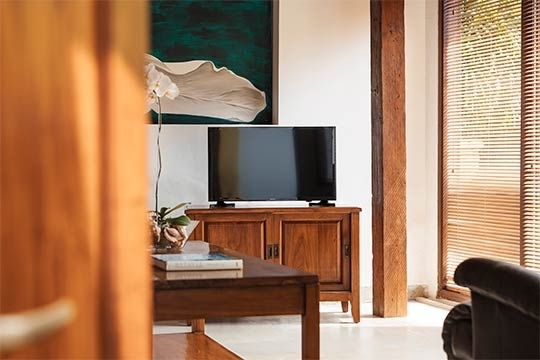 Amenities like the large child-friendly pool, media room and full-service staff ensure a relaxing and nurturing escape. 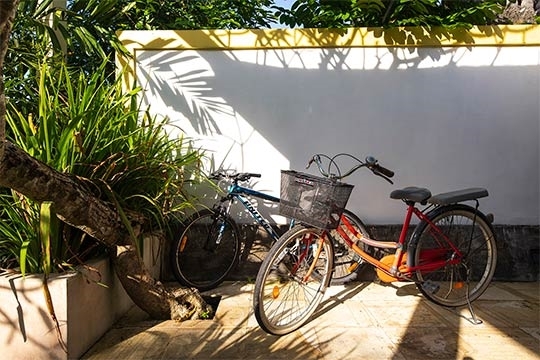 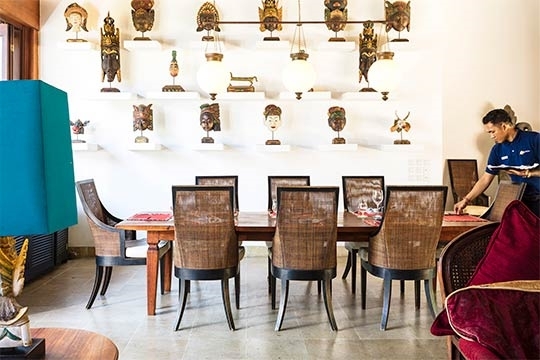 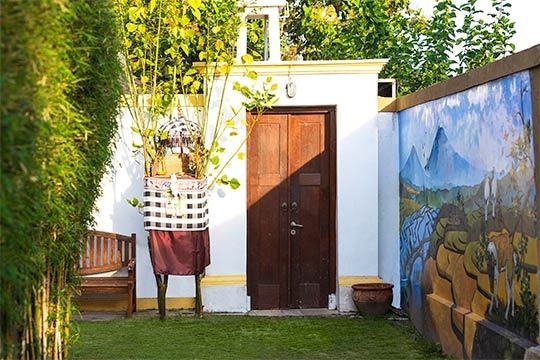 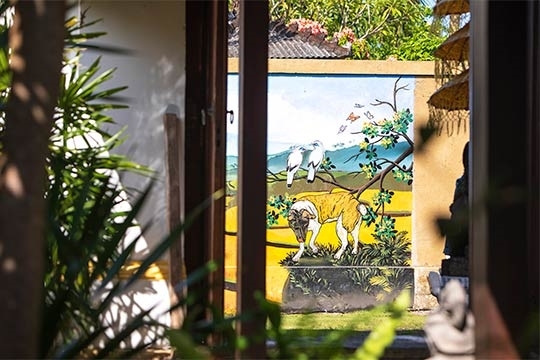 Villa Mako is only five minutes’ drive from the restaurants, cafés, bakeries, boutiques and beach bars of Canggu’s Jalan Batu Bolong, and a couple of minutes further from the popular beach spots of Finns Beach Club, Old Man’s, La Laguna, The Lawn and Ji@Bale Sutra. 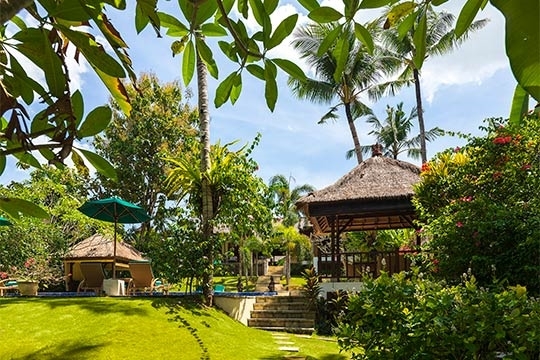 Sun beds, surf lessons and sand castles, oceanfront brunches and sunset soirees are mere minutes away at Batu Bolong and Echo beaches. 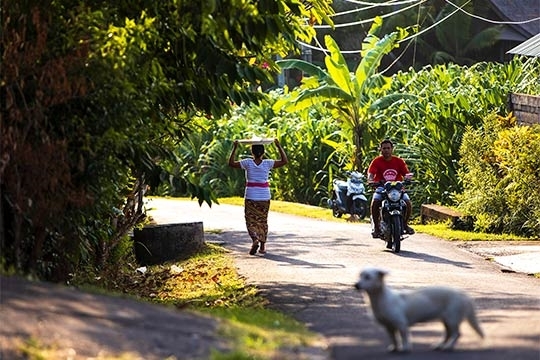 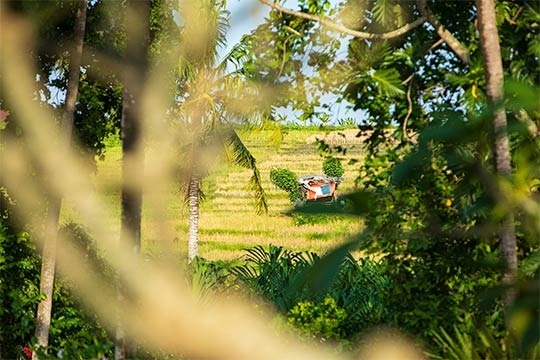 Yet the villa also enjoys a serene landscape of quintessential rice paddies surrounding the village of Tiying Tutul and neighbouring Pererenan. 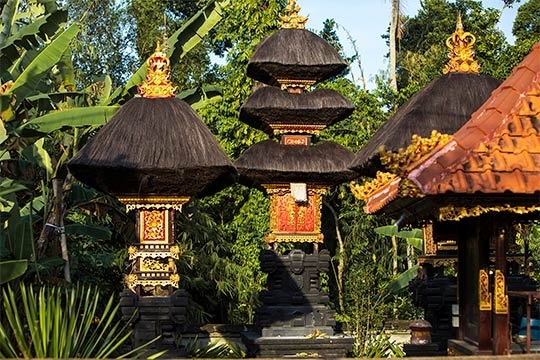 Just ten kilometres north along the coast lies the world-famous Balinese temple Pura Tanah Lot. 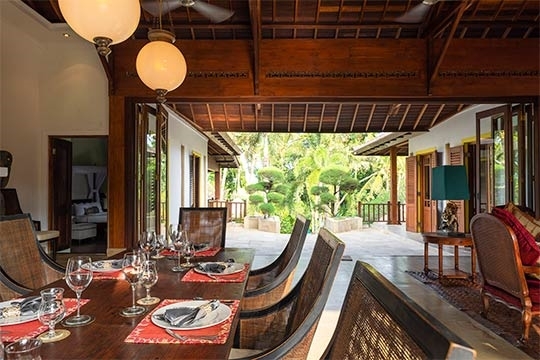 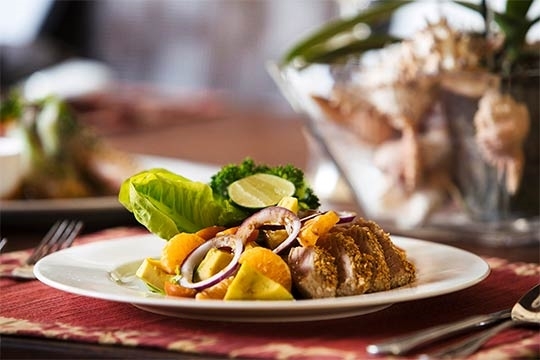 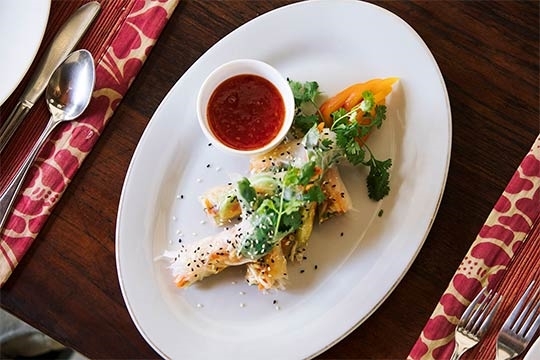 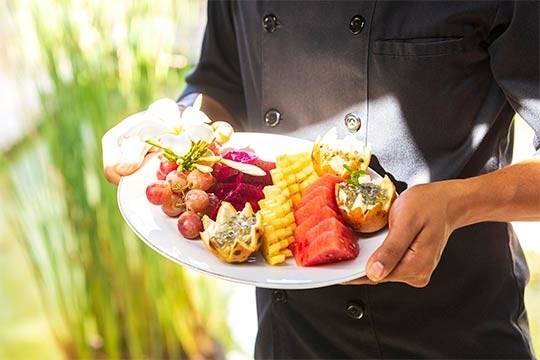 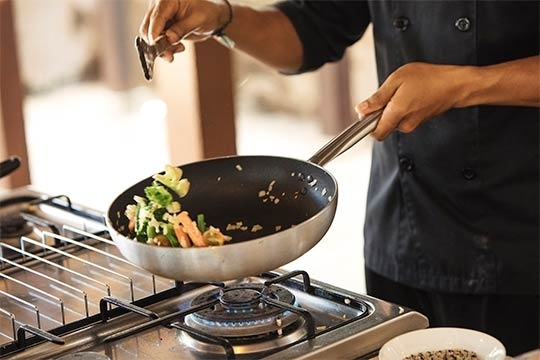 Fine dining in Seminyak, shopping malls in Kuta, daytrips to exotic animal attractions, treks in the rural highlands and the International Bali Airport are all within easy reach of secluded Villa Mako, making it a wise choice among Canggu private pool villas.